What is the background to the UEFA Nations League? The rejuvenation of national team football – and the UEFA Nations League – stems from the desire of UEFA and its 55 member associations to improve the quality and standing of national team football. UEFA and its associations wanted more sporting meaning in national team football, with associations, coaches, players and supporters increasingly of the opinion that friendly matches are not providing adequate competition for national teams. Extensive consultation and discussions started as far back as the 2011 UEFA Strategy Meeting in Cyprus and continued at a series of Top Executive Programme (TEP) meetings over the following three years. The UEFA Nations League was unanimously adopted at the XXXVIII Ordinary UEFA Congress in Astana on 27 March 2014. What is the basic format? The format of the UEFA Nations League features promotion and relegation. The 55 European national teams have been divided into four leagues in accordance with UEFA's national association coefficient rankings on 11 October 2017. 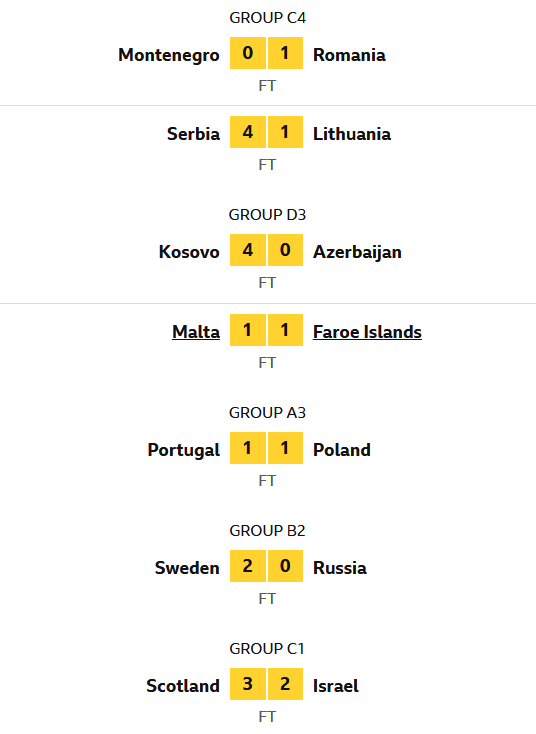 Teams have been split into four groups of three, with the group winners then contesting the UEFA Nations League Finals (semi-finals, third-place match and final) in June 2019 to become the UEFA Nations League winners. One host country will be appointed in December 2018 from among the finalist teams. The four teams that finish bottom of their groups will be relegated to League B for the 2020 edition. The top four ranked teams that do not qualify for UEFA EURO 2020 will enter a play-off in March 2020, with one finals place on offer. Teams have been split into four groups of three. The four group winners are promoted to League A, with the four sides that finish bottom relegated to League C for the next competition to be played in 2020. Teams have been split into one group of three (containing teams from Pots 1, 2 and 3 only) and three groups of four. Due to winter venue restrictions, a group could contain a maximum of two of these teams: Norway, Finland, Estonia, Lithuania. The four group winners are promoted to League B, with the four sides that finish bottom relegated to League D for the 2020 edition. Teams have been split into four groups of four. The four group winners are promoted to League C for the 2020 edition. The League Phase Draw for the UEFA Nations League took place at the SwissTech Convention Centre in Lausanne on 24 January 2018. In each league, four group winners are promoted (or play in the Finals, see below) and four teams are relegated for the next competition to be played in 2020. The overall UEFA Nations League rankings will determine the composition of the draw pots for the subsequent European Qualifiers. 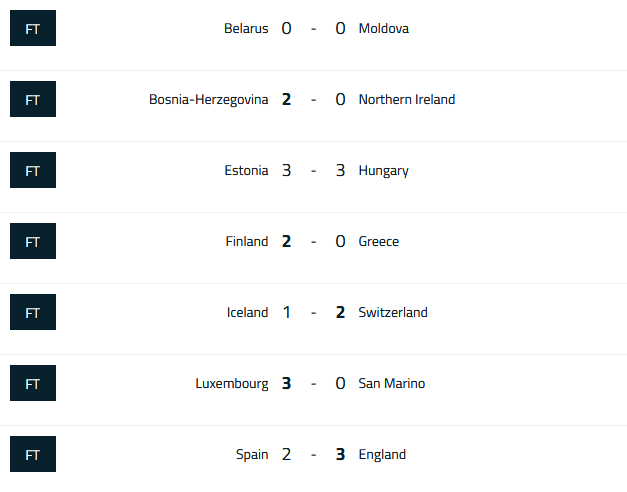 In addition, the UEFA Nations League will provide teams with another chance to qualify for the UEFA EURO final tournament, with four sides qualifying through play-off matches which take place in March 2020 (see below). When will the UEFA Nations League take place? The UEFA Nations League group games are being held over six matchdays, during the 'double-headers' in September, October and November 2018. The UEFA Nations League Finals competition for the teams that win the four groups within the top division is scheduled for June 2019. For the UEFA Nations League Finals, the group winners of UEFA Nations League A will play in a knockout format (semi-finals, third-place match and final) in June 2019 to become the UEFA Nations League winners. One host country will be formally appointed by the UEFA Executive Committee in December 2018 from one of the nations competing in the final four. Italy, Poland and Portugal (all in Group A3) have expressed interest. The play-off matches will be staged in March 2020 (see below). The changes to UEFA EURO qualifying will make it more streamlined. 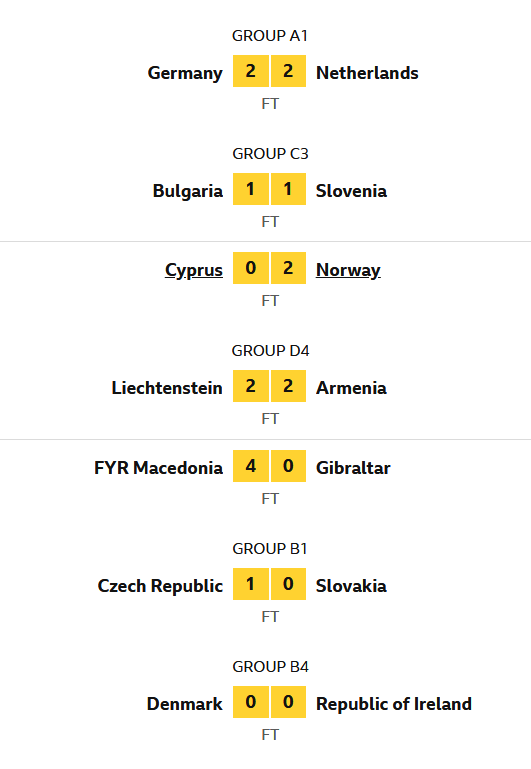 The equation is now simple: ten groups with the top two teams in each group qualifying automatically, and the other four places being awarded to European Qualifiers play-off winners, in which the 16 group winners of the UEFA Nations League will be in contention. The UEFA EURO 2020 qualifying draw will be made after the completion of the UEFA Nations League and allow for the four UEFA Nations League Finals participants to be drawn into groups of five teams. But the key principle of the qualifiers remains: that every team can play every team. The European Qualifiers for UEFA EURO 2020 commence in March 2019. There will be two matchdays in each of March, June, September, October and November 2019. In total, there will be five groups of five teams and five groups of six teams (ten groups in all) playing over ten matchdays (the same number as now). The winner and runner-up in each of the ten groups will qualify automatically for the UEFA EURO 2020 final tournament (June 2020). The last four EURO places will be won through the European Qualifiers play-offs, which will take place in March 2020 and which will be contested by the 16 UEFA Nations League group winners. If a group winner has already qualified via the European Qualifiers, then their spot will go to the next best-ranked team in their league. If a league does not have four teams to compete, the remaining slots are allocated to teams from another league, according to the overall UEFA Nations League ranking. Each league will have a path of its own and each path will feature two single-leg semi-finals and one single-leg final. The winner of each path will win a ticket to UEFA EURO 2020. How are the overall UEFA Nations League rankings calculated? Within each league (A, B, C and D), the overall ranking will be calculated based on position in the group then points, goal difference, goals scored, away goals scored, wins, away wins, disciplinary points, coefficient ranking. What are the advantages for national associations and teams? National associations and coaches, in consultations with UEFA, revealed that they feel that friendly internationals are not providing adequate sporting competition. The UEFA Nations League creates more meaningful and competitive matches for teams and a dedicated calendar and structure for national team football. Top teams can also aspire to take part in the UEFA Nations League Finals, a new top-level event. For middle-ranking and smaller nations, the UEFA Nations League will offer an extra way to qualify for UEFA EURO final tournaments. Lower-tier countries – the bottom 16 in the rankings – are now guaranteed one of the 24 qualifying slots for UEFA EURO. Lower-ranking teams who have struggled against sides ranked considerably higher than them will now get the chance to take part in balanced matches. Teams do not learn and progress by repeatedly losing; now some sides will start winning. While the UEFA Nations League will replace most friendly internationals, there will still be space in the calendar for friendlies, especially for top teams who may want to face opposition from outside Europe as they will be in groups of three teams. Associations and teams benefit from clarity of the fixture calendar, and there is now a clear buffer between the end of the UEFA EURO and FIFA World Cup, and vice versa, as well as stability of income. What are the advantages for supporters? Supporters more than most realise that most friendlies fail to deliver competitive and meaningful football. Now they will have the opportunity to see their teams play in more competitive matches, take part in a new competition and get a second chance to qualify for the major tournaments. In every even year there are World Cup or UEFA EURO champions; now in every odd year there will be a UEFA Nations League winners. Football is about competition and now, just like in club football, there will be a national team champion at the close of every season. Will this mean more demands on players and clubs? No: the UEFA Nations League and European Qualifiers will adhere to the existing agreed international match calendar. UEFA is always keen to preserve the balance between club and international football. The new competition should, in fact, reduce demands on players and clubs with less travel envisaged for friendly games while national teams will be playing more consistently at their own level. With double-header matchweeks, players will even go back to their clubs earlier than is currently the case. Is this just about generating more revenue? No, finances are not a driver for the new competition. However, the competition will have the same centralised media rights as have recently been introduced for all European Qualifiers so associations will have even more stability in their income. Will there be no more friendly internationals? There will certainly be fewer friendly internationals and undoubtedly fewer meaningless friendlies. However, there will still be space in the calendar for friendly internationals – particularly warm-up matches for final tournaments. UEFA is also keen that European teams will still have the chance to play opponents from other confederations. Last edited by MenInG; 6th September 2018 at 18:48. Nations League is brilliant concept from UEFA. In regular soccer season (August to May), there are about 5/6 slots for International soccer - that's roughly 10-12 games. Every 2 year there is a WC or EURO, therefore alternate years, there is qualifier. But, in even years (like 2018, 2020 ..), EURO Zone teams play friendlies in those 5/6 slots; where sometimes 22 players enjoy some game time - 22 from one side that is. It was often such a joke that National boss will call 35 players for 2 game on Wednesday & Saturday and he might play all 35 players at some point, which is extremely disruptive for clubs and often players come back injured from International duty after couple of meaningless friendlies. Starting from Sir Alex, every top Manager had raised their voice on these Friendlies and players started to fake injury before friendlies on suggestions from their club - I have seen "injured" players missing Saturday game for ENG or France or Spain .... then play for club in 3 days time. Now, they converted these friendlies into a proper tournament, which brings seriousness to International soccer. 2nd factor is that, often prominent European teams used to play friendlies themselves or with top teams from Latin America/Africa or cash rich Arab teams, sort of depriving lower tier European teams. Often France will play Brazil on Wednesday at Stad de France, then Germany on Saturday at Munich; similarly England to play Italy & Argentina; Spain at Holland, then Nigeria... it left with Slovakia to play with Albania and then Latvia or Montenegro or Kazakhstan. Apart from lack of quality, this wasn't helping them financially was well. Now, through this tournament (which still has 4 tier/divisions) lower tier European tams will get the chance to play high profile games frequently. Also, this tournament is linked with EURO qualifier, which brings extra importance. 3rd issue was financial - the way Friendlies were arranged between 2 FAs, soccer money was polarized among top few countries. I read that, last ENG-FRA friendly at Wembley was sold out for average $75/ticket in a 90K capacity stadium and Sky bought that game for over $12mn from garuntee money & endorsement shares - that's almost $20mn from one Friendly. Top teams like Brazil or Argentina are often paid over $6mn as image right for one such friendly and it's impossible for most UEFA members to make big money from friendlies whereas last time French FA sold their TV rights for 170mn EURO for 4 years to Canal+!!!!! Media rights of Nation League is owned by UEFA and they'll distribute the Tv money among it's members, while gate money is with receptive host FAs. Still, top teams will receive higher amount than average from UEFA, but still Latvia or Cosovo or Cyprus FA will get something. This is a really good concept. We get to see top teams play each other in meanigful games and smaller nations also get some money and a chance to play top teams. Looking forward to this tournament . Will be watching the France vs Germnay game. Ampadu nudges Walters off the ball in midfield, glides forward 20 yards and then offloads to Ramsey, who shots low into the net from the edge of the box. So simple and so deadly from the Welsh against an increasingly ramshackle Irish side! Last edited by Zeeraq; 8th September 2018 at 21:52. What an excellent win for Bosnia today away at Northern Ireland. Spain have just beaten England 2-1 and looked better than they did at the World Cup. Liking the look of this concept so far. Teams look to be taking it seriously. Games should be more open later on in the tournament. Even though I prefer club football , usually when it was an international break I wouldn't make time to watch them. But watched England vs Spain and France vs Germany. It wasn't the best game but France got their result. What upsets me is the tactics Deschamps uses - for first 15 minutes, France dominated the game, got a lead then went in to shell, allowed an average Dutch team to control the ball. After an hour of pressing, Holland did equalize - again France changes mood and takes back the lead within 15 minutes....... then went back to shell again. 2nd time I understand with just 10-12 minutes to go (Deschamps even took out Griezzmann for N'Zonzy), but some day, it's going to cost France. Deschamps is getting result with his tactics, but same tactics denied France a EURO at home. What I understand is, few players were given the chance to play last time in front of home crowd after winning WC; from next round, Deschamps will change his team. Hope so, Dembele, Lecazzette, Rabiot, Coman, Martial are too good players to miss out the squad. Last edited by MMHS; 10th September 2018 at 02:41. Are you watching the game @MMHS ? If so what do you make of Mancinis Italy ? Bring on Insignie or Balotelli. Doesn't look like Manchni will be an exciting appointment. Conte should have been made Italy manager. Mancini has done nothing since being sacked by Manchester City. What a brilliant comeback by Turkey after being 2-0 down to Sweden, they won 3-2. Manchini has he had issues with man management in the past. Didn't like some of his team selection yesterday. Italy have the talent to come back to the top but I am not confident that Mancini is the man to lead Italy to success but I'll give him a chance. This new format is a little confusing to me. Can someone help clarify exactly what implications this has for the Euro? If Spain win their group, do they automatically qualify for the Euro? If Croatia finish 3rd what does that mean for them? Why did Spain play Wales today when they're not even in the same league let alone group? This has to be the greatest waste of time tournament in Football ever. Is it gonna lead to some final? Even if so no team really cares about it. Players are gonna return injured for the next round of EPL matches which is why the likes of Jurgen Klopp are attacking it. Italy's finishing has been awful. Much better performance from the last nations game against Portugal though. Deserved win for Italy. Makes Italy vs Portugal an interesting game on the next match day. Must win to keep our nation league hopes alive. Also need to sure that this new England can compete with the top teams. The World Cup was amazing but to take the next step we need to compete and beat the top teams. It's something that we have struggled with . It's a chance to take the next step. Would have preferred Maddison to have started instead of Barkley as he is more of a goal threat. Also wanted Sancho to start as Sterling and Rashford have had enough chances and have been poor. Going to be a difficult game. Very strange game but credit to Southgate, his tactics are working brilliantly. England sitting back, defending well and using the counter attack to score. What a half for England. I know I said above I would have dropped 1 of Sterling or Rashford but I think both are good players and will do well for England. Glad with the performance from the team. What a win! Hopefully it boosts our confidence against big teams. That wasn't a penalty against Germany. Fifa is being as useless with VR technology as ICC was with DRS in the beginning. The most pointless football tournament I have ever come across. Even the die hard fans are barely paying attention. That Holland-France is going to be a cracker. Technically, a draw suits both (France advances to SF, Dutch remains in League A, Germany relegated regardless of home game against Holland). France is without 3 starters - Umtiti, Pogba & Hernandes, and few from WC winning squad, but such is the depth of the squad that their reserves are probably better than England!!! It can be a high scoring game, but I expect Deschamps getting his job done by the mean way. England are determined to reach another semi-final to top a "brilliant year", says manager Gareth Southgate. A win over Croatia at Wembley on Sunday would give England top spot in their group and progression to the inaugural Uefa Nations League finals next summer. The Three Lions reached the last four of the World Cup in Russia in the summer - their best showing since 1990. "Whatever happens on Sunday, we've had real shoots of progress, achieving some outstanding results," said Southgate. 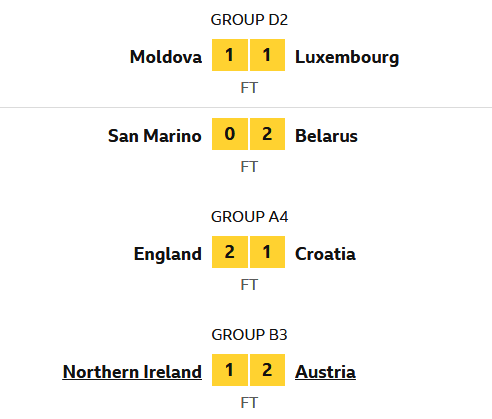 With one game remaining, England are second in Group A4 of the competition. A draw against Croatia would put Spain through while defeat would relegate England to League B of the Nations League. Southgate added: "We were very keen that we moved on from the World Cup as quickly as possible. It has been a brilliant year. "[We have had] really good performances and blooded a lot of new players. It has given us a real depth to the squad and competition for places. "But I think everybody wants to go another stage and get to a semi-final out of a group which is as tough as there has been in this competition. "It is a really good game for everybody to look forward to." Former defender Southgate gave debuts to Bournemouth striker Callum Wilson and Southampton goalkeeper Alex McCarthy in Thursday's 3-0 friendly victory over the United States. Teenager Jadon Sancho was given his first international start after an impressive season in Germany with Bundesliga leaders Borussia Dortmund and Southgate was particularly impressed by the winger. "Some of the one-touch, two-touch football around the box was really exciting," Southgate said. "I thought Dele [Alli] and Jesse [Lingard] were both really good in that opening period as well. "We talk a lot about a lack of creativity in English players, but when we're bringing on Ruben [Loftus-Cheek] and we have got Jadon, Jesse and Dele on there, and we know there are other players coming through the system, it is an exciting period. "None of these lads are the finished article and Jadon is very raw. Some of his decision-making was really good and some not so good. "We want him to try things and feel free enough in an England shirt to do those things. He can be really pleased with his first start." Great to see Dutch soccer raising again, they out played world champs today, which ensures Germany relegated to League B. But, I think France still will make it ahead of Holland, who'll need a point at Gelsenkirchen - Germany will beat Holland (to help their bitterest neighbors ). I think the league's a good idea but the fact that it isn't even on terrestrial TV is awful. I can't be bothered to watch it on Sky tbh. Virgil van Dijk had scored a 91st-minute equaliser for the Netherlands against Germany before embracing the referee. Romanian referee Ovidiu Hategan was consoled by Virgil van Dijk after the Netherlands 2-2 draw with Germany on Monday. Van Dijk's 91st-minute equaliser ensured the Dutch reached the semi-finals of the Nations League. And the Liverpool defender showed his human side embracing the official at the final whistle. "That man broke down, stood with tears in his eyes because he had just lost his mother," Van Dijk said. "I wished him strength and said he had refereed well. It's a small thing, but I hope it helped him." Goals from Timo Werner and Leroy Sane had put Germany ahead. But the Dutch implemented a tactical switch - that manager Ronald Koeman was originally unaware of - with Quincy Promes' 85th-minute goal initiating their revival. The Dutch boss passed on hand-written directions, penned by his back-up team, to full-back Kenny Tete which prompted Van Dijk to press forward. "I got a note from Dwight Lodeweges and Kees van Wonderen," Koeman said. "When we were 2-0 down they [my assistants] asked me if we should change things around and I said 'yes'." "Next thing I knew I had the note. So I gave it to Kenny. And in the end it's fantastic that the equaliser came from the guy who was told on the note to push up front." England will play the Netherlands in the semi-final of the Uefa Nations League on 6 June 2019 at Estadio D Afonso Henriques in Guimaraes. Hosts Portugal face Switzerland on 5 June at Porto's Estadio do Dragao. The final will be played on 9 June, with the third-place play-off game taking place the same day. The winner of the tournament will receive £6.67m in prize money while the fourth placed nation will earn around £4m. Gareth Southgate's side reached the last four of the Nations League by topping a group containing Croatia and Spain. 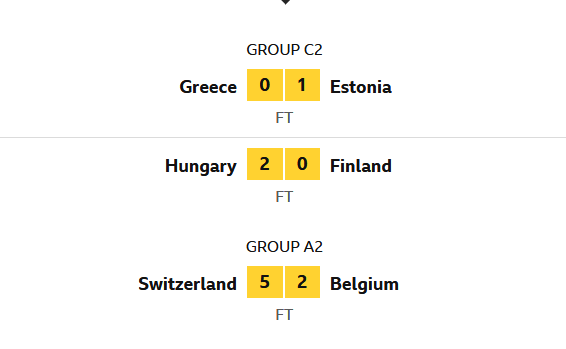 Switzerland pipped Belgium to top spot in their group by virtue of their superior head-to-head record, beating them 5-2 in their final game. European champions Portugal progressed at the expense of Poland and Italy, and the Netherlands qualified with a 90th-minute equaliser in their final group game in Germany. The Nations League began in in September, splitting 55 nations into four tiers with League A the top tier. Each league contained four groups and the competition also provides a second opportunity to qualify for the European Championship finals in 2020. All times are GMT 5.5. The time now is 15:21.